In the Mug: Duncan Donuts coffee with LOTS of creamer, just like my Dad! The Pikes Peak Hill Climb was this weekend. 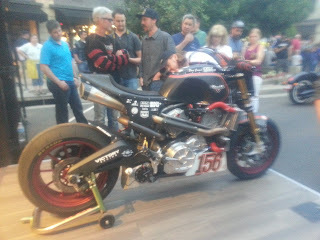 Cool to watch the Victory stunt team, but unfortunately the Victory Project 156 bike was a DNF due to crash damage. 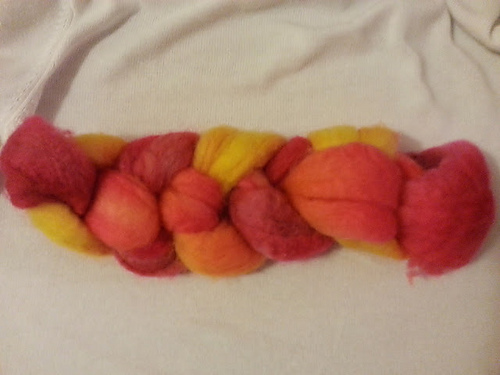 From this hand-dyed braid of fiber . . .
What's blooming - penstemon, penstemon, penstemon. And catmint. Queen Fiona's hive is doing good. She's not only alive, but I saw her! There were eggs and larva. 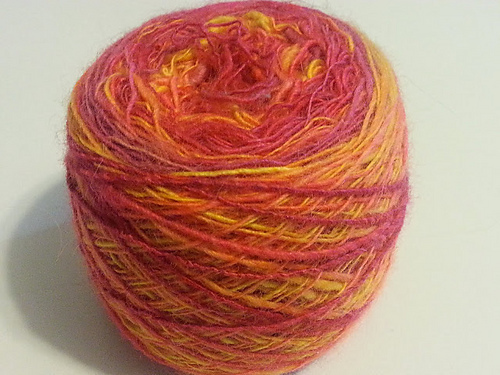 S&J hive is also good. Didn't see the queen, but I did see larva, which means the queen didn't get hurt during the move. REALLY need to cut the weeds down again! Two hive cutouts that didn't work out. In one, the bees had left, in the next I think they hired an exterminator. I'm doing another cutout today though, hopefully with a new beekeeping friend. Beeyard visit with the local group. 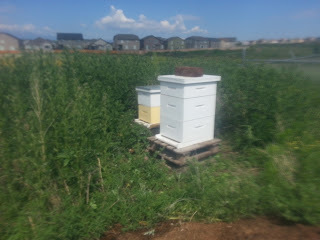 Walked through hive inspections, powdered sugar roll for mite check, and created a nucleus hive. Been a busy, tiring week. Sleeping a lot.